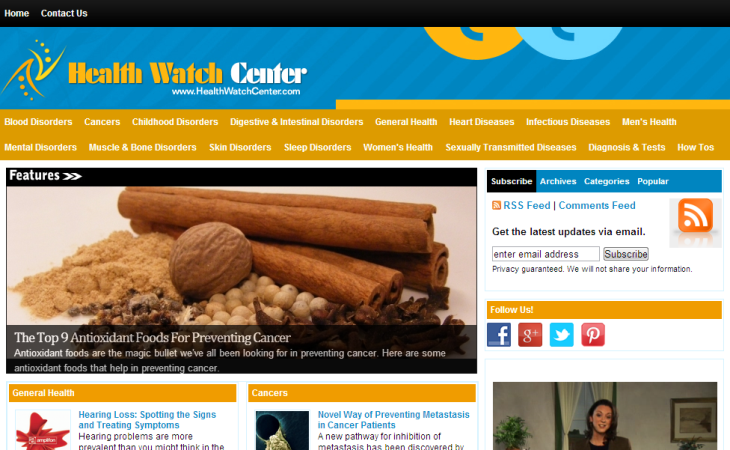 HealthWatchCenter.com A blog that helps to lead a happy and healthy lifestyle with its useful tips and information. Bring order into life by knowing about disorders and how to prevent their occurrence. Regularly updated with latest information and news on various health issues such as allergies, blood disorders, cancers, heart diseases, mental disorders, men’s disorders, sleep disorders, STDs, skin disorders, and many other treatments.